We are proud to have served the Northwest Milwaukee area for over 10 years—providing care to the Germantown, Menomonee Falls, and surrounding communities. Our practice is growing because we have a unique experience to offer our patients. Dr. Daub provides personalized treatment in a comfortable setting where each patient is a top priority. Our team is passionate about meeting patient needs using state-of-the-art orthodontic treatment options which contribute to our clients’ improved overall health and well-being. We offer flexible scheduling with extended hours and have a convenient, accessible location close to many retail stores. We take pride in treating each patient’s orthodontic needs on an individualized basis, and we consider personal goals and timing issues in conjunction with the vast selection of orthodontic treatment options that are now available. Dr. Daub prefers a personal practice where he can give each patient his complete attention and thus provide the best orthodontic result possible. 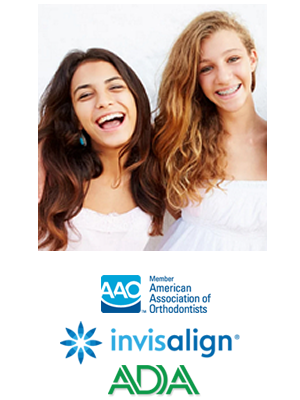 Not enough can be said about consistency of care during orthodontic treatment. Dr. Daub does not divide his time between multiple offices but is completely committed to one location and lives in the area. He also believes strongly that one doctor treating a patient from beginning to end leads to the most consistent and efficient result possible. We enjoy getting to know our patients on a personal level. We promote a relaxed, fun environment where patients and their families feel comfortable. Quality care takes time, careful planning, and good communication. We will sit down and carefully explain each step of the treatment process and review patient progress so that everyone involved is well-informed and expectations are met. Dr. Daub encourages patient questions and feedback. A beautiful smile and healthy teeth go hand-in-hand. Dr. Daub not only improves the aesthetics of his patients’ smiles, but his treatment improves bad bites (malocclusions) resulting from tooth or jaw misalignment. Patients with malocclusions tend to have a harder time brushing, flossing, and chewing. We provide regular updates on your orthodontic treatment progress as well as oral hygiene and health, because quality orthodontic treatment together with routine dental care help to ensure that teeth will function correctly for a lifetime of smiles! Using modern technology, we are able to offer a higher quality of care to our patients. Computer technology enables us to focus on our patients instead of tracking paper files. Additionally, digital imaging and digital radiography (x-rays) minimize exposure to harmful radiation, and also help provide patients and parents with a better understanding of treatment options. Overall, we believe that a digital office enables higher accuracy of health records, better communication with other dental professionals sharing patient care, and a higher quality of treatment.